“Growing the Academic Library: Past, Present & Future” is an exploration of how academic libraries have changed and grown, organized into three major areas: resources, physical space, and education. This comprehensive literature review provides an understanding of where academic libraries have been as well as where they’re going, the latter including emerging ideas such as patron-driven acquisition and student activist archiving. 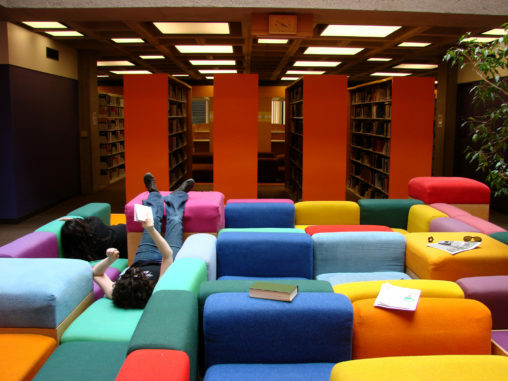 An overall theme is the symbiotic relationship between the library and the wider university. This project uses historical materials from the Brooklyn Collection archive on the creation of the Marcy Houses projects to explore themes of community and local history with secondary school students in the Brooklyn Connections program. By exploring current issues around housing through the lens of historical events, this group created a unit of study that engages students in culturally relevant instruction. 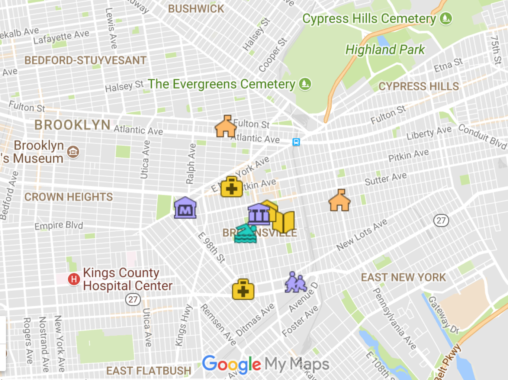 This project uses resources from the Brooklyn Collection archive on Brownsville, Brooklyn to create a unit of study for Brooklyn Connections students. The unit emphasizes the ways that classroom technologies can be integrated into the research process to increase student engagement. There is opportunity for the discussion to begin, as the role of the LMS changes with implementation of nationwide Common Core Standards. Once considered irrelevant to education, the LMS and the library are suddenly imperative to the transformations taking place in education due to these Standards.